Although many of us may have enjoyed rather warm weather this December, January and February will probably be much different. 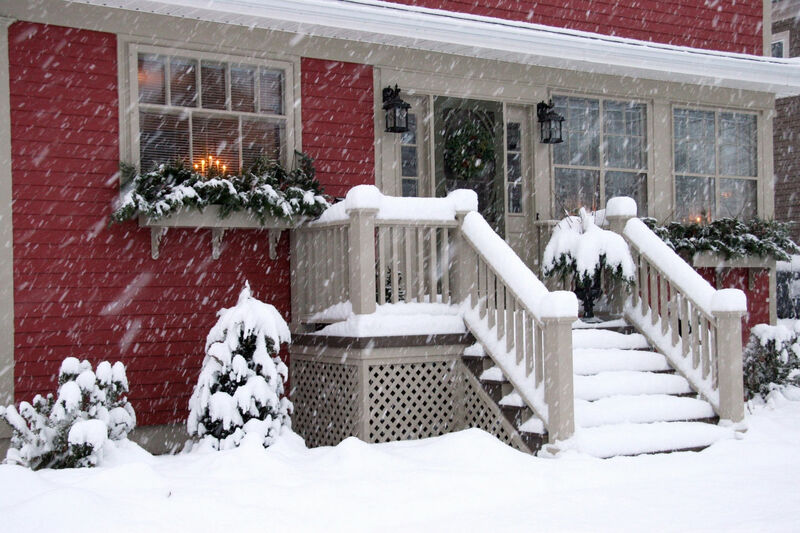 That means that your home might be vulnerable to cold if not taken care of properly. By acting on these tips you can safeguard your home and reduce energy bills. Make it a habit to check if your heating system is working properly. Have your furnace inspected before the first cold snap. Getting this done early will keep your family warm and safe. It will save you from having to wait for a service professional when everyone else is scrambling to fix the same problem. Have the fireplace and chimney inspected and cleaned. Regularly test the carbon monoxide and smoke detectors and install new ones if necessary. Consider changing the batteries. If you have children, there’s never a bad time to talk about an emergency evacuation plan. See to it that they know exactly what to do if fire or any other unforeseeable circumstances present themselves. Inspect the roof and gutters to make necessary repairs. Don’t let the leaves pile up, always try to clean your gutters as soon as possible. The accumulation of leaves can lead to drainage problems. It will be difficult for water to go down the sprout and away from the building thus costing possible damage to walls and ceilings of your house. While checking the gutters, don’t forget to inspect the roof as well. See to it that the shingles are in good condition and there are no leaks. The roof should be strong and functional so that it would be able to withstand the weight of snow during a storm. Perhaps the reason for your high electric bill is the air escaping through the gaps around the door frames and windows. Don’t forget to seal the spaces around the doors and windows. This will help keep the house warm while saving you money. Check attic insulation levels and add new insulation when necessary. Prepare emergency kit with blankets, bottled water, flashlights, extra batteries and easy to prepare non- perishable food at a central location in case of power outrage.